First quarter store earnings were up approximately 30% after implementing the feature. That is a pretty incredible jump for a first quarter and that’s our slow season, said Kim Kim, owner of Epic Event Rental in Eden Prairie, Minnesota. Point of Rental Software, a leading provider of rental and inventory management software, recently completed a study of the impact online orders are having on rental business revenues. The company offers three products serving businesses of all sizes and levels of complexity, and while each product offers an online store feature, the study was centered on Point of Rental Essentials which is an award-winning cloud-based product for straightforward rental and inventory needs. One client interviewed in the study reported that first quarter store earnings were up approximately 30% after implementing the feature. “That is a pretty incredible jump for a first quarter and that’s our slow season,” said Kim Kim, owner of Epic Event Rental in Eden Prairie, Minnesota. The online store feature allows businesses to provide their customers with 24/7 access to see availability, get quotes and reserve items, while also offering a customer portal, which allows customers access to their accounts, where they can view orders, cancel bookings and make secure payments online. Not only are stores having an increase of orders coming through due to this feature, but it is also decreasing customer wait time and saving employees time with the ability for users to create an account and enter credit card information for non-refundable deposits. During a period of Epic Event Rental’s slow season, 77 web orders came through the customer portal where customers had self-served, which would have averaged 12.5 hours as phone orders. Providing a new level of customer satisfaction with quick response times and information at their fingertips, the online store feature also has automated customer notifications that can send default notes, receipts, electronic signature requests, and more. Further information about Point of Rental Essentials’ online store feature is available on the company resource page in a tutorial video as well as a case study featuring Epic Event Rentals. Point of Rental Software provides award-winning rental and inventory management solutions to thousands of companies worldwide. Founded in 1983, the company offers smart, scalable software designed for rental companies of all sizes and industries. Point of Rental Elite delivers a customized ERP software for world-class rental corporations. Point of Rental Expert is a full-featured rental management software that optimizes complex operations for advanced rental businesses. 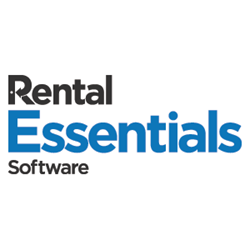 And, Point of Rental Essentials is a cloud-based rental and inventory software that streamlines business for straightforward rental operations. To learn which product is right for your business, visit point-of-rental.com or call 1-800-944-RENT (7368).